About at jeremy toeman rants and… ? Most recently, Jeremy worked at Sling Media as the Vice President of Market Development. In that role, he was the company evangelist and was responsible for building grassroots/viral marketing programs. This included developing the company’s online presence with regards to various Web communities and blogs, promoting Sling Media’s highly visible word-of-mouth marketing efforts. Jeremy also acted as a company spokesman at consumer, trade, and industry events, being an accomplished speaker and presenter. Prior to corporate communications and guerrilla marketing, Jeremy joined Sling Media in 2004 as VP of Product Management. He was responsible for guiding development of the Slingbox from conception to launch, helping take the vision of the founders and shape it into a physical product. Jeremy specifically participated in guiding user interface and interaction model design for the SlingPlayer PC software as well as the SlingPlayer Mobile software. Since launch, the Slingbox and its corresponding software components have won numerous industry awards. In the late 1990s he founded Palmtastik, a Web portal designed to help early PalmPilot users get the most out of their devices. Through viral marketing efforts, Palmtastik grew online to become the second highest trafficked PalmPilot destination. 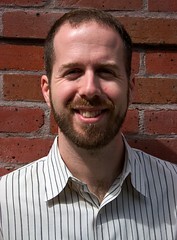 In 1999, Jeremy co-founded Mediabolic, a software company that provides digital media networking technology to consumer electronics and computer manufacturers. While at Mediabolic, Jeremy contributed to the design of digital home devices for companies including Pioneer Electronics, HP, Fujitsu, and Denon. Jeremy holds a B.S. in Economics and Industrial Management from Carnegie Mellon University. Click here to see Jeremy’s most recent video interview. 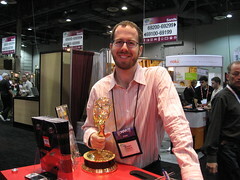 In 2007, the Slingbox was awarded a technology Emmy! At 2005 CES, the Slingbox won a “Next Big Thing” award as well as “Best Home Media Networking” award. While at Mediabolic, Jeremy helped design convergence products for companies like Pioneer, HP, and Denon (whose flagship NS100 won a “Best of Show” award at CES2004).